About us- Mike, Geneva and the dogs. 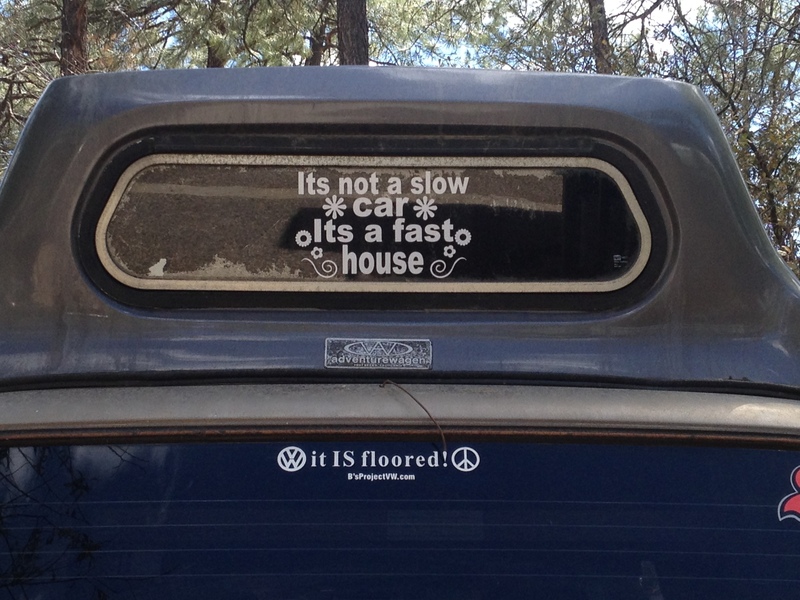 | It's not a slow car, it's a fast house! 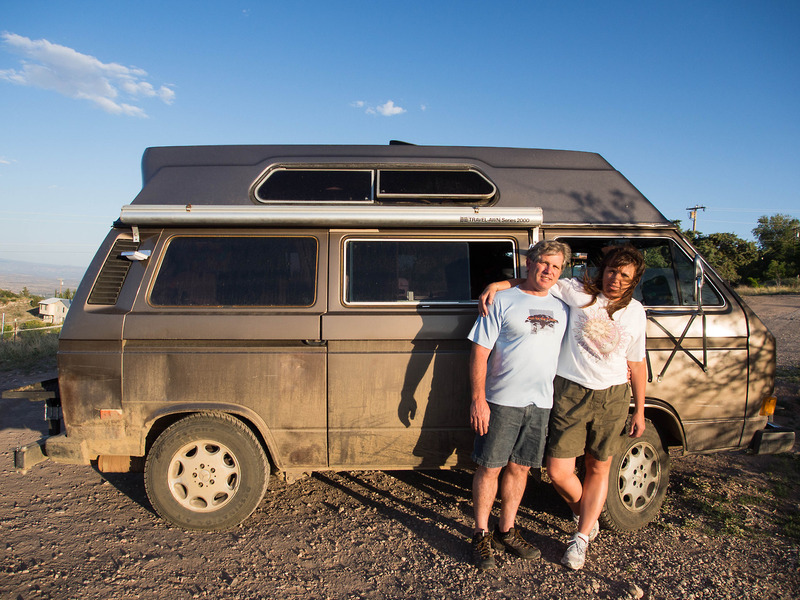 In October 2014, Mike and Geneva Saint-Amour packed up Seri, Zeb and Mango (the dogs) into Alta (the van) — and departed from Arizona to travel……. indefinitely. Nica- a callejera (street dog) adopted from a rescue agency in Nicaragua. She joined our pack in March ’18. Alta is the Volkswagen, Vanagon, Westfalia, AdventureWagen, high top, Bostig conversion, tall, VW bus. She has been through some changes and modifications. All designed to make her a more reliable home for us. See related blog posts to learn about some of her awesome modifications~ She is currently hanging out in Arizona. Destinations remain undetermined. Targets include points East, North, and then South…. far South. First, a loop of the USA with some Canada, too. Then on to Latin, Central and South America! After that…….we will see where life takes us. Watch for updates on this website or even faster, find the “FOLLOW” button on the home page. Sign up there and we will email you each time a new story is posted. Your address is NEVER used by us for any other purpose. If you want to contact us directly, send a note using the form below.